It’s been twenty-five years since The Elder Scrolls franchise began with the release of The Elder Scrolls: Arena in 1994, and The Elder Scrolls Online is going all-out to celebrate. In addition to giving players a first taste of the upcoming Elsweyr chapter, the game itself will be free for everyone for a limited time! The Elsweyr prologue, true to its name, will serve as an introduction to the newest The Elder Scrolls Online chapter. You’ll “discover the true purpose of the Wrathstone” and learn how the dragons first came to be unleashed upon the world of The Elder Scrolls Online. It will surely help fans get excited for the new chapter when it launches on June 4, 2019. Even better, the prologue quest will be part of the base game, meaning all players will be able to take part in it. You won’t need the newest expansion to begin the quest. There will be two ways to start the quest. First, you can find and use the free Sealed Imperial Summons item in your inventory. In addition, the quest can be engaged by finding Imperial messenger Anais Davaux in your alliance’s first city. That’s not the only anniversary gift, either! From March 28th to April 3rd, The Elder Scrolls Online will be free on all platforms! The Free Play Event will give access to the base game, which means the Elsweyr prologue will be available, as well. You’ll also have access to the Morrowind zone, which lets you visit Tamriel and the home of the Dark Elves. Naturally, should you find yourself hooked on The Elder Scrolls Online, it will be available at a reduced rate. The base The Elder Scrolls Online is on sale until April 9th. If you want to get the Sommerset expansion, that will only be on sale until April 2nd. 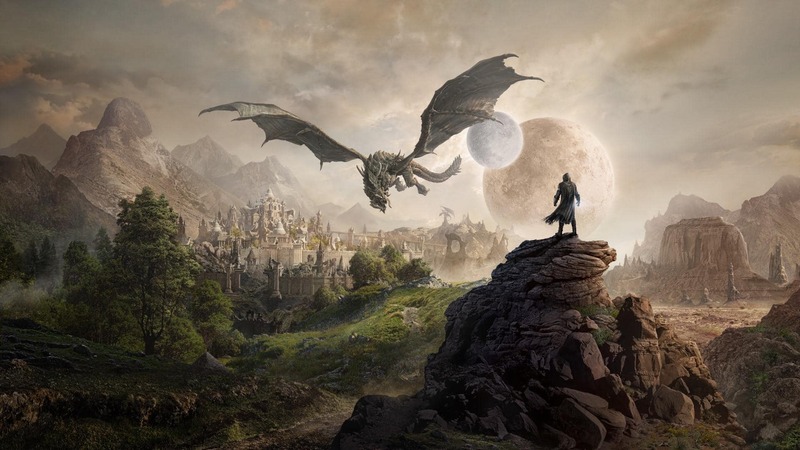 The Elder Scrolls Online is available now for the PlayStation 4, Xbox One, and PC.